Today we are in Ventimiglia Alta (the ancient city high on the hill). Banners are still flying as there had been a carnival the day before. Aujourd'hui, nous sommes à Ventimiglia Alta (la vieille ville ancienne perchée sur la colline ) Les oriflammes volent toujours car la veille, y avait eu un carnaval. I like the look of the architecture! 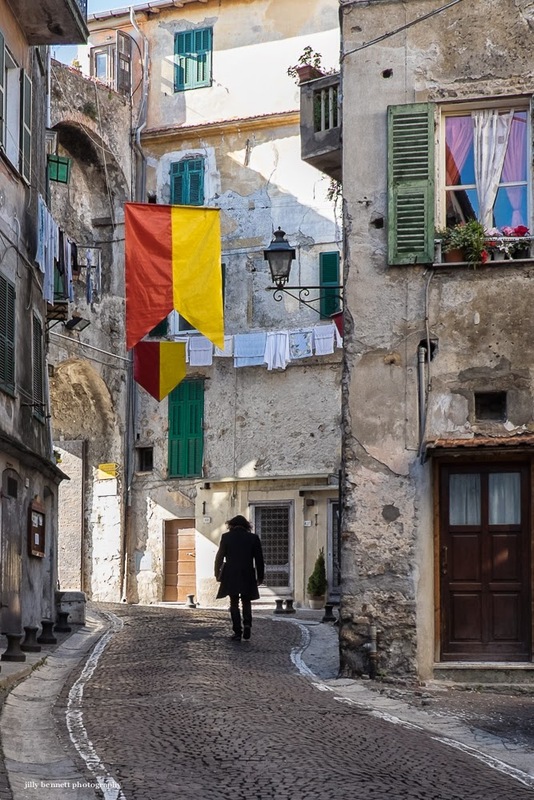 The look of the quintessential Italian hill town. There are so many variations on the theme.